The Power of Music X 2: What Happens When Music and Video Join Forces? Gender identity is an area where popular music has been especially influential for the last thirty years, a period of time that coincides with the launching of MTV in 1981, and the development of the modern music video. Male artists have sung in rough voices, epitomized by Bruce Springsteen, exuding an aural machismo that needed no visualization to hit the mark. 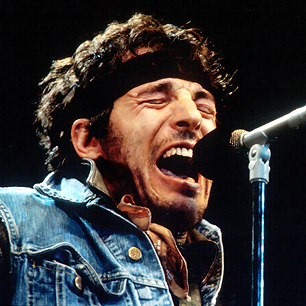 When seen live or on video, Springsteen amplified the affect with his denim clothing and Dylanesque rough shaven and coiffured appearance resulting in a roguish look just enough to stand apart from the mainstream. The melding of sound and sight through live performances and videos only strengthened the hold of the lifestyle and clothing styles that these musicians popularized. Continuing on into the hip-hop era, both lyrics and videos became more aggressive, promoting a reincarnation of the male loner hero. This time he was the African American male striking out against racism and to promote a new cultural identity through a new kind of lyric poetry and music; one that would go beyond African Americans and music to bring hip-hop fashions, showcased in music videos, to a broad spectrum of American youth and younger adults. Behind this surge in hip-hop culture’s broader-based popularity was the music video. Music videos can transport the listener into the music, as audio only cannot. A video that presents a narrative shows us the story being told through the lyrics with visuals that stay in our memory and affect what we do with the music when the song is over. These videos place the listener in the role of observer both of the musical performance and the narrative. While the listener may identify with what is going on, their involvement is not consciously physical, but largely emotional. To keep the listener/viewer’s attention, and add suspense and tension to the narrative, these videos rely on short scenes and quick cuts. As lyrics and videos have become more graphic and/or violent, those images have become all the stronger, arousing stronger and more personal feelings and emotions. These songs move the emotions from being of the songwriter/performer to of the listener, who now “owns” the song emotionally in a way that was not possible before the era of these types of lyrics and videos. More videos for classical music are especially needed…While the live performance videos are helpful and a legitimate sub-category of music videos, they are not enough. More live-action videos to classical music are needed. Videos that interpret the music through abstract images and images of dancing and moving encapsulate us with the music itself. Any narrative is left to the listener’s imagination. Whether with lyrics or without, when caught up in the movement, the listener is less apt to be noticing the lyrics as he or she visualizes or acts upon the movement they see in the video and are sometimes compelled to act upon by themselves moving according to the motion they see and/or have imagined while listening. Videos in this genre do not lend themselves well to short scenes and quick cuts. The listener needs time to settle into a flow of music and movement, and to savor and enjoy it before moving on to the next segment. Also, because this type of music tends to be instrumental and from the art music genre, the nature of the music itself is to be segmented into longer time spans that popular music, so if the videographer is attempting to sync the music and video, he or she must use longer segments if they are to match the music. 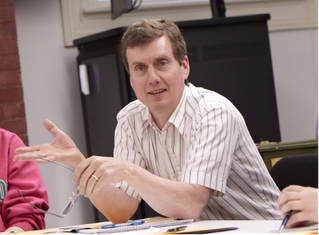 When the video is out of sync with the music, the listener tends to minimize the music and prioritize the video, which is contrary to what a music educator would have in mind. Furthermore, there is little need for quick cuts to maintain the viewer/listener’s attention, because the listener is happily occupied with the visualization and/or acting out of the music. Both making and viewing music videos is an excellent tool for teaching students to go deeper with their music, and the music of other cultures. More videos for classical music are especially needed. While Youtube has hundreds of popular music videos, the videos for classical music is usually either of a live performance or of a few still pictures rotated through an entire piece or movement. While the live performance videos are helpful and a legitimate sub-category of music videos, they are not enough. More live-action videos to classical music are needed. Here is an example of what is possible, though most of us won’t have the time to pull something like this off. Whiteley, S. (2013). Sexing the groove: Popular music and gender. London: Routledge. ← What Are Some Effects of Combining Music and Video?